Growing up game day was a big deal, from the food to spending time with family. Every Sunday during football season we’d head over to my Grandmother’s house, home games were so much fun! She lived so close, I could hear the roar of the crowd cheering in the stands. Now that we live in another part of the country where football is even bigger and the food takes on a more coastal flavor, I still get excited for Game day! 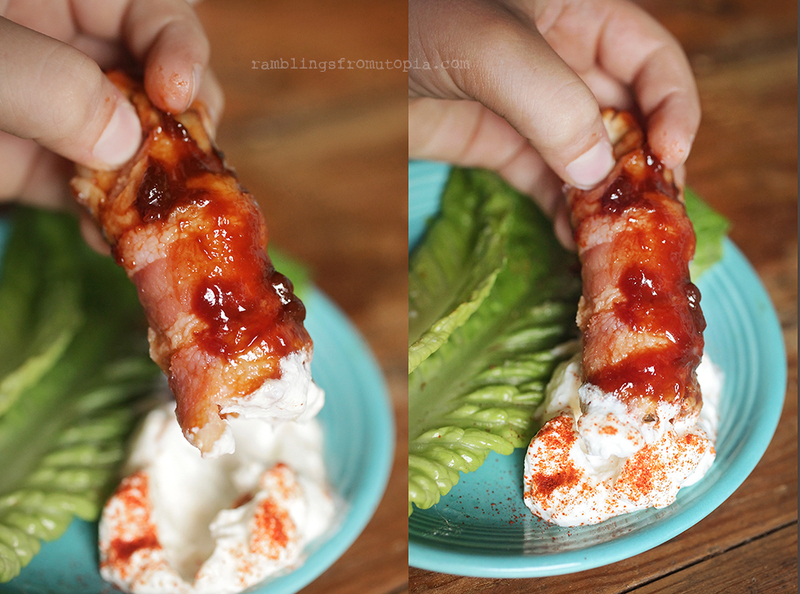 The must have finger food every year is definitely the Spicy Bacon-Wrapped Shrimp Bites! 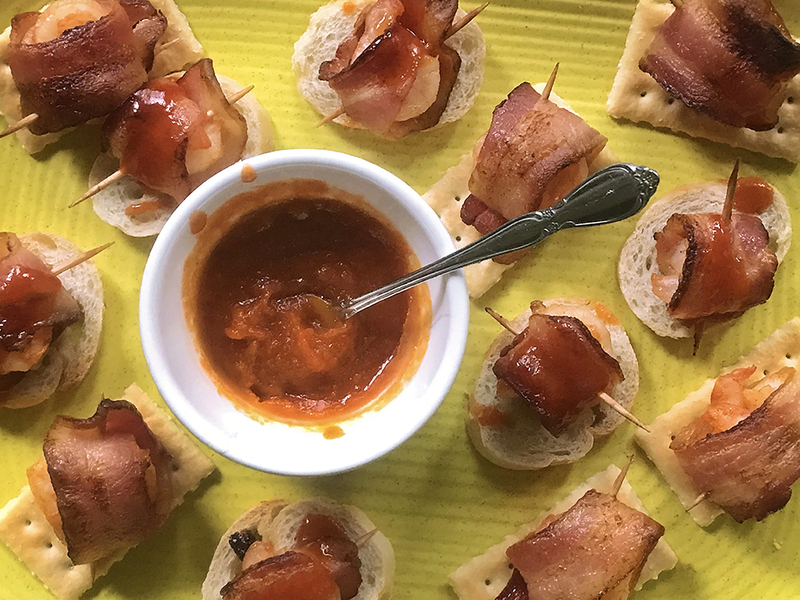 I headed to the local Walmart and picked up our favorite Wright® Brand bacon for our favorite game day finger food, goes great with our Game Day spread, Cornbread, Chips, State Fair®Corn Dogs, Sweet Rolls and Green Bean Casserole. 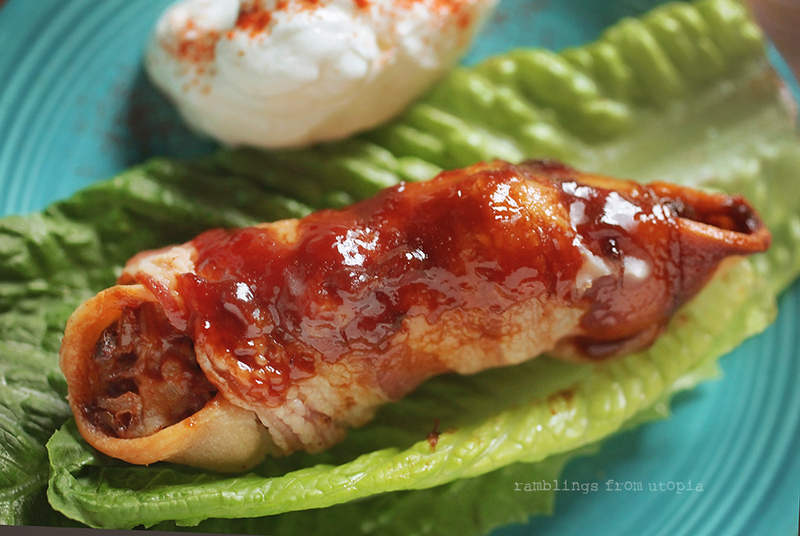 Line a metal pan with parchment paper, place the bacon wrapped shrimp back in the 425 degree oven, cook 12-14 minutes, place on thinly cut French bread rounds, drizzle with hot sauce and butter, cook an additional 3 minutes at 350 degrees F.
Let sit for 3-5 minutes and serve. Start your ultimate Game Day off right, go to Walmart and purchase Tyson products for your game winning recipe to add to your festivities. 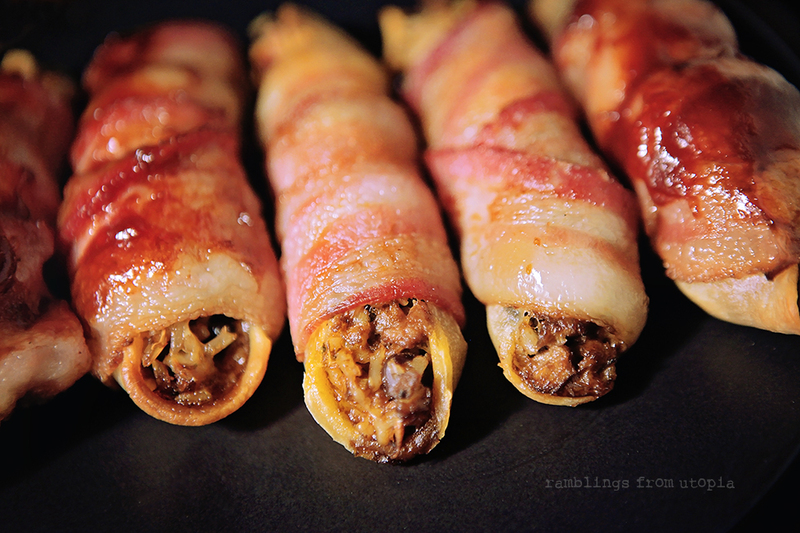 Who doesn’t like finger food wrapped in bacon? 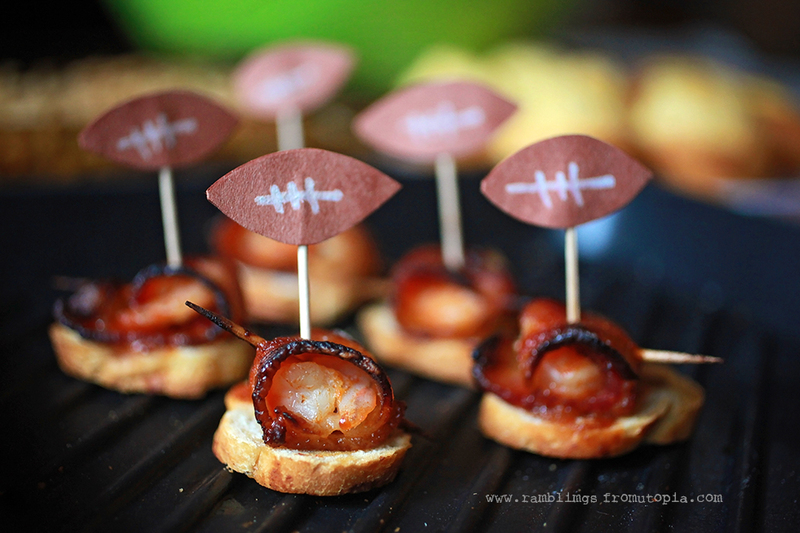 This is one Game Day recipe your guest will love! We like to stock up on at Walmart with some pantry essentials, and when I say that, I of course mean Old El Paso Taco Boats and kits. They are a great start to any snack, dinner or dessert. 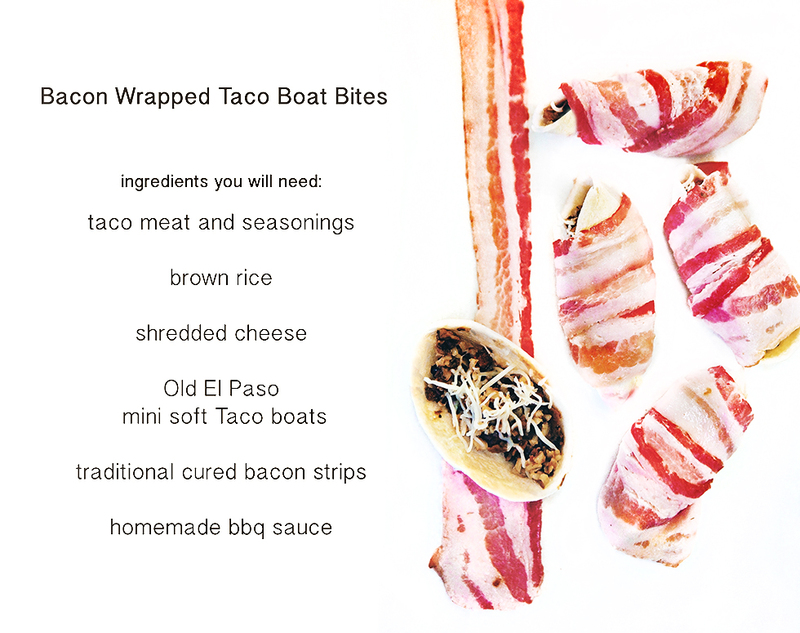 The mini soft taco boats are my favorite and a Game Day recipe right up there in the top 5. It’s a pretty simple recipe, the base of the tacos being refried beans, meat (we use vegetarian crumbles) and brown rice, with taco or fajita seasoning cooked in a skillet, then scooped into the Old El Paso mini soft taco boats, topped with you choice of cheese, wrapped all the filled boats nice and pretty in a strip of uncooked bacon. I glazed some of them with my homemade barbecue sauce. or until the bacon is fully cooked. 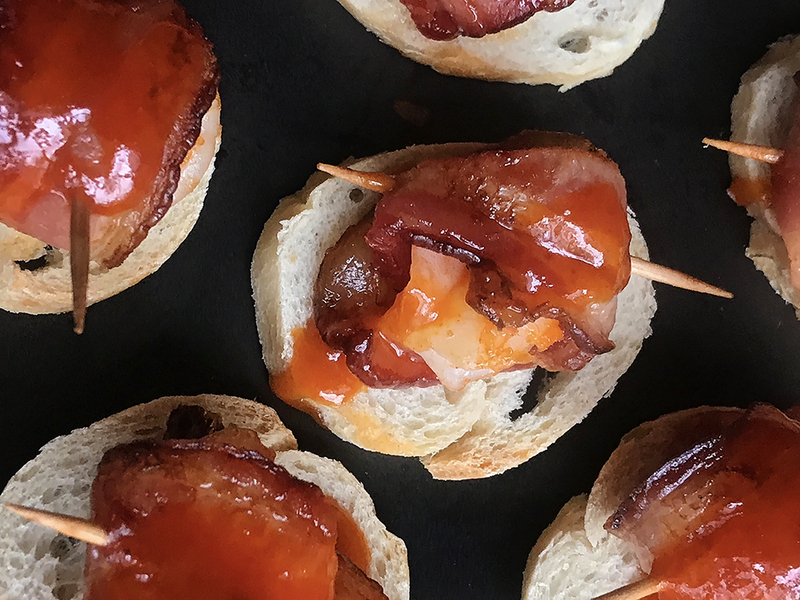 If you’re like us, we can’t seem to buy enough barbecue sauce, so out of necessity I created my own recipe. Now this is all to taste so adjust the amount of each ingredient to you liking. 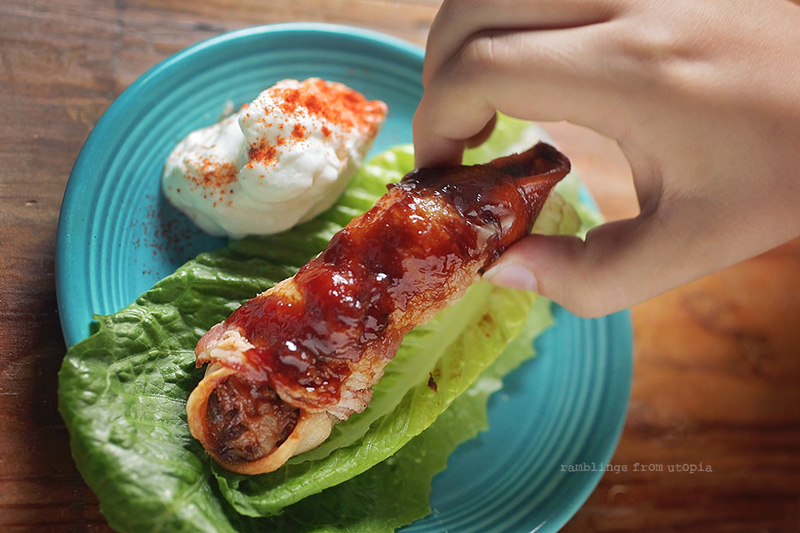 You can serve these simple on a large platter as a yummy finger food or with a bed of romain lettuce and some sour cream to dress up your guest’s plates, if you’re having a more formal gathering. Either way, they’ll be gone fast! 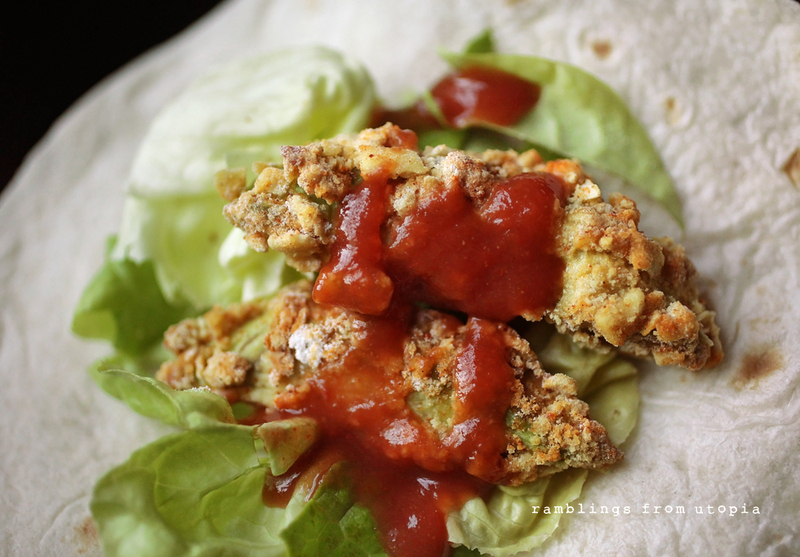 Breaded Avocado Vegetarian Tacos & Giveaway! 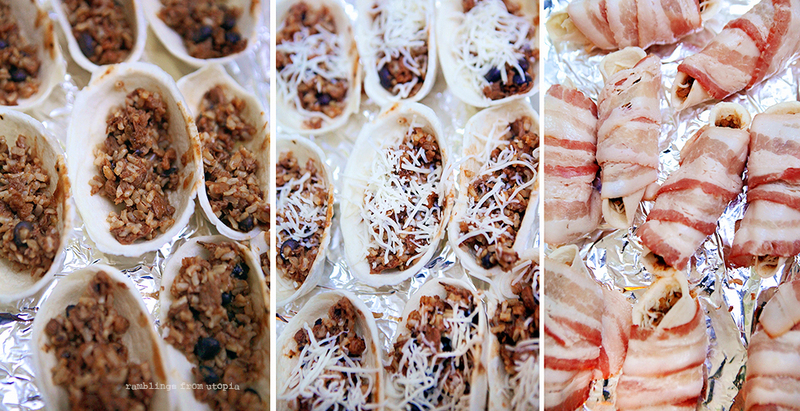 What’s more festive during the game than a football-themed Taco Bar? 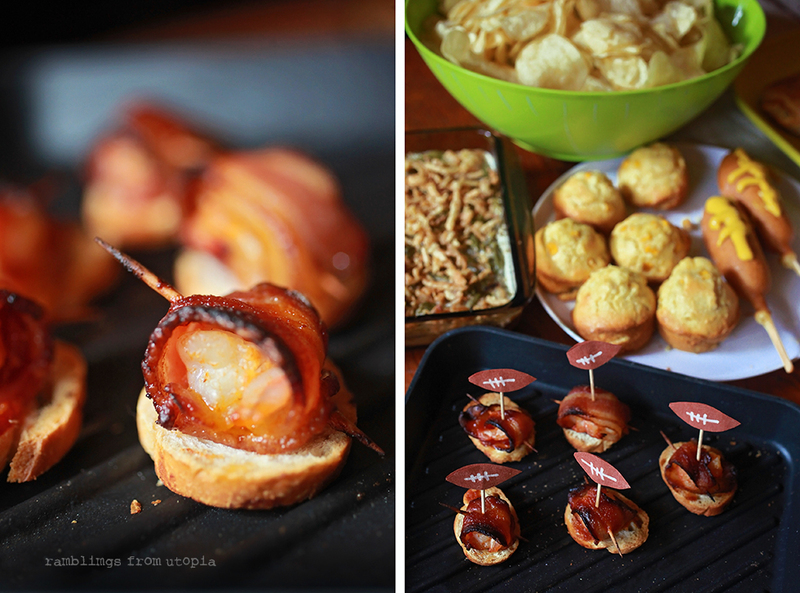 Everyone in our house loves celebrating Game Day with friends and all the fun food that goes with it. We decide to came up with a new recipe to share using Old El Paso dinner kit and Avocados from Mexico. When I lived in Florida during my college years, my yard had 2 avocado trees, a winter and summer variety, I loved having avocados all year round but I wish I knew all the fun things to do with them then and think back to how many were wasted from my lack of culinary skills. Hard and Soft Taco Kits keep everyone happy. Each kit contains deliciously crunchy corn Tacos AND tasty soft tortillas, plus Taco Seasoning Mix and Taco Sauce so you can create a Mexican fiesta with ease. Just add meat and your favorite toppings. Try these delicious flour Tortillas made especially for Tacos and Fajitas. 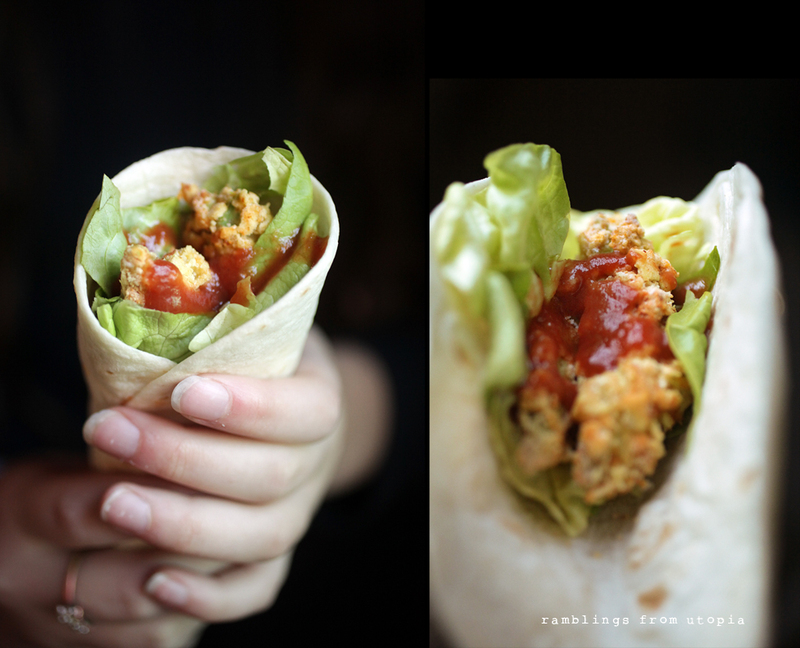 Simply wrap around your favorite ingredients. Taco Shells are deliciously crunchy corn shells ready to fill with your favorite meats, cheese, fresh toppings, and taco sauce for a Mexican fiesta! Avocados from Mexico are fresh, delicious, authentic, and available year-round. Fun facts: avocados are so popular at parties and festivities that people across the United States enjoy more than 1.3 billion pounds of avocados per year. Did you know? If you made guacamole from all of the avocados sold for Big Game XLVII parties, you could fill the entire stadium 12 feet high! 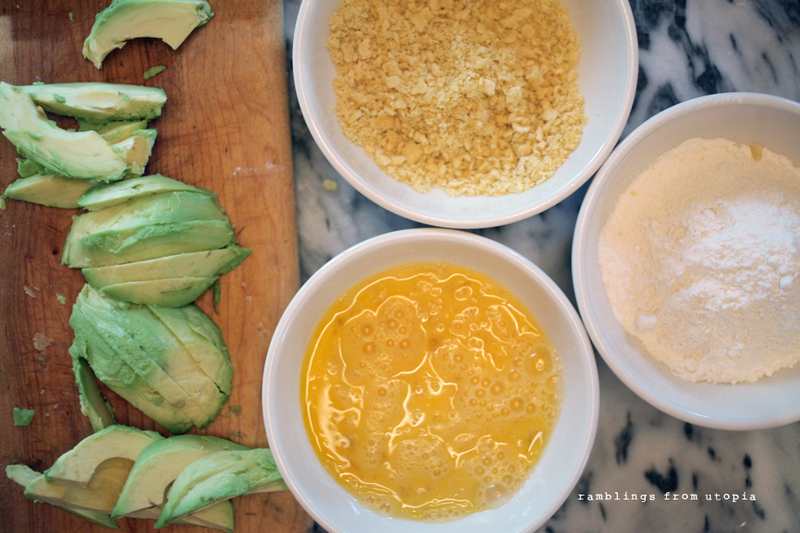 Place the beaten eggs, flour and crumbled crackers into 3 separate bowls to dip the sliced avocados in for breading. 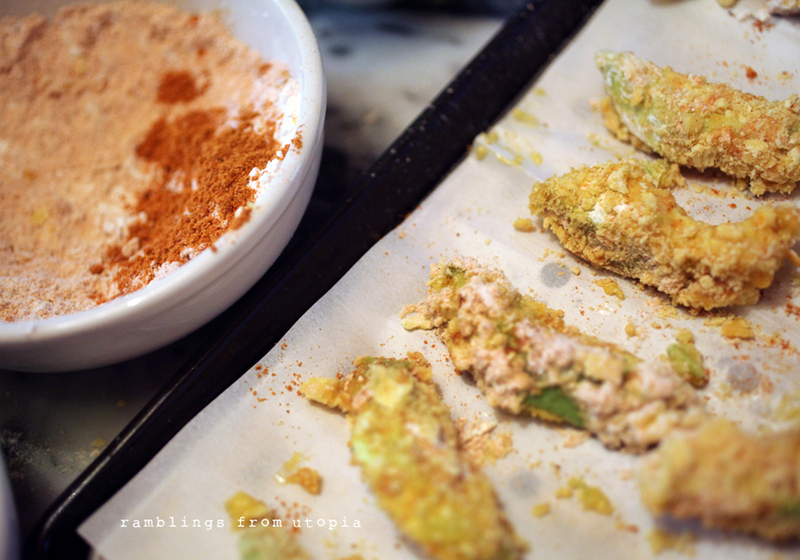 Now dip avocado slices first into the egg, then flour, then cracker crumbs. After you coat all the avocado slices add the taco seasoning to the flour and roll the slices back into the seasoned flour, place coated avocado on a greased or well oil pan to bake at 375 degrees for 12-17 minutes or until the crust is crispy and golden brown. After the breaded avocados are baked, place them on a soft taco shell top with fresh lettuce and then top with mild taco sauce from the Old El Paso Dinner Kit, roll and serve. Exclusive savings at Publix help with all the ingredients you need like Old El Paso and Avocados from Mexico. Publix offer for 25% off components such as seasoning, beans, etc. $10 giveaway for Ramblings From Utopia readers, just simply leave a comment below on your favorite recipe or Game Day party idea. Please note: The winner is chosen randomly and will receive winnings via PayPal.